Old sliding doors are one of the most energy inefficient areas of your home. Not only is it a large opening in the home with the possibility of drafts but also many older sliding doors are made of metal which is one of the best conductors of cold. Old sliding doors can even have ice form on the inside of the house on cold winter days. Newer patio doors offer many options and are constructed in such a way that draft and transfer of cold are almost completely eliminated. 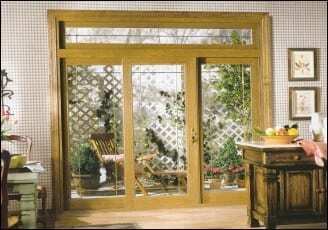 Markey Windows, Doors, & More carries a wide selection of energy-efficient patio doors. There are currently patio doors on the market that have some of the highest air infiltration rating in the industry along with U-factor ratings that even exceeds current energy-star standards. Some of the ways this is achieved is an interlocking panel where the operation door meets the frame. This, along with feature such as 4-point multi-locks, creates an almost air-tight seal while offering enhanced security measures. Fusion-welded multi chambered vinyl frames with foam fill also provide a more insulated door than older, outdated, models. 99% of new doors come with energy-star glass packages to help cut down energy cost and make homeowners feel more comfortable in their own home in both the winter and summer months. Features such as mini-blinds and grids are also available. We currently have full size displays of many varieties of doors set up in our showroom. Stop by and see what we have to offer today. 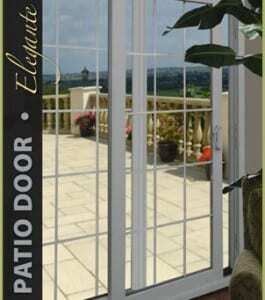 IF YOU ARE LOOKING FOR PATIO DOORS IN NEW JERSEY THEN PLEASE CALL 1-800-605-4470 OR COMPLETE OUR ONLINE REQUEST FORM.